Laughter is the best medicine (so they say) and Creative Black Country have just the thing to get you chortling. In a bid to prove that Wolverhampton certainly isn’t the unhappiest place in the UK (as stated in a report from the Office of National Statistics), Creative Black Country together with Wolves Civic and Accord present FUNNY THINGS, Wolverhampton’s newest comedy festival. Silent Clowns: A Slapstick Workshop Wednesday 25 October In this workshop, we’ll be introducing a group of budding silent comedians to some of the funniest scenes from the silent film era, and teaching them the tricks of the silent comedy trade through clowning, games, and performing little skits. Custard Pie Ceremony with Live Score Wednesday 25 October In 1909, veteran comic Ben Turpin became the first film actor to get hit in the face with a custard pie. After that, everyone was at it, and it became a staple for silent comedies. We’ll be celebrating the art of throwing the custard pie with a selection of silent and sound shorts and extracts. 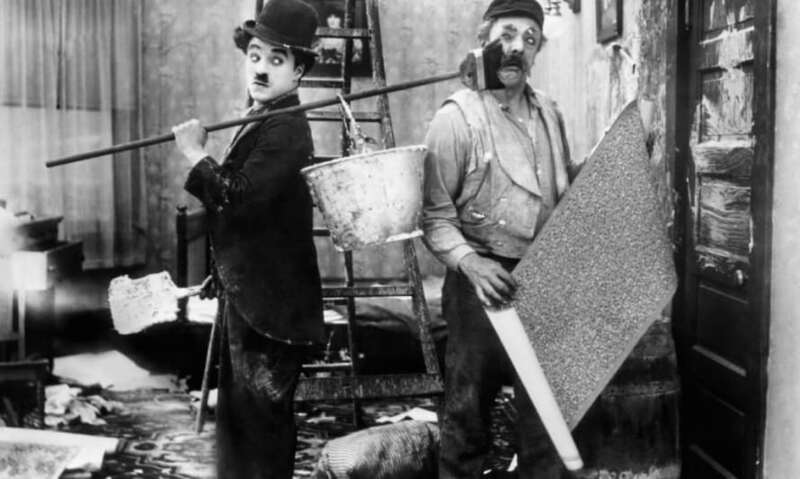 A Century of Chaplin with live accompaniment Saturday 28 October We’ll be showcasing some of the funniest moments from the Chaplin archive in this short film compilation in honour of Chaplin’s centenary. What We Do in the Shadows Tuesday 31 October Vampire housemates (Jemaine Clement, Taika Waititi, Jonathan Brugh) try to cope with the complexities of modern life and show a newly turned hipster (Cori Gonzalez-Macuer) some of the perks of being undead whilst maintaining an age-old rivalry with the local werewolves. Dots & Loops #5 with Louis Hudson & Ian Ravenscroft Thursday 2 November Flatpack’s popular short film night is back with a comic twist. DIY Drive-in: Nature’s Tales Saturday 4 November For this family-friendly event aimed at 2-8 year olds, families are invited to join us for a DIY drive in cinema experience. We'll be building our own cars using scrap and craft materials and then settling in to watch Nature’s Tales. Jambo Cinema 26 October - 26 November 2017 Step inside Uncle & Aunty Bansal's 1980s Indian-Kenyan living room. Curated by Dawinder Bansal, this exhibition was inspired by her upbringing in her parents' corner shop renting VHS tapes to newly arrived and established Indian and Pakistani migrant communities in Wolverhampton. The festival takes place 23 October - 7 November in venues across Wolverhampton. For the full programme and to find out more, head over to the Funny Things website.